US 10 year yield down about 10 basis points. Nasdaq tests MA target. Runs away from 50% and the low from January. The 10 yield is down over 10 basis points today as global debt traders worry about global slowdown. The German 10 year yield is also down sharply (around 7 bps) and trades below the 0.0% level (-0.27%). Wow. 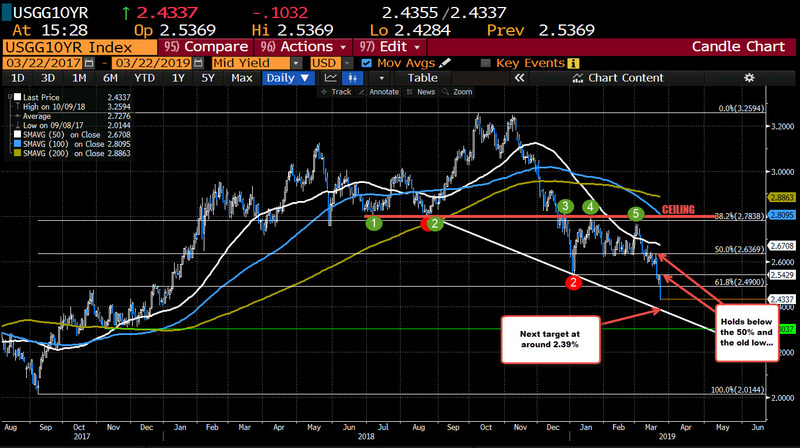 For the 10 year, the yield fell below the 50% midpoint of the move up from the September 2017 low at 2.6369% and stayed below. It then fell below the January low at 2.5429% and stay below that level too. We have just moved below the 61.8% at 2.49% and looks toward a lower trend line at 2.39%. Meanwhile, the stock declines are accelerating with the S&P now down -1.3% and the Nasdaq down -1.63%. 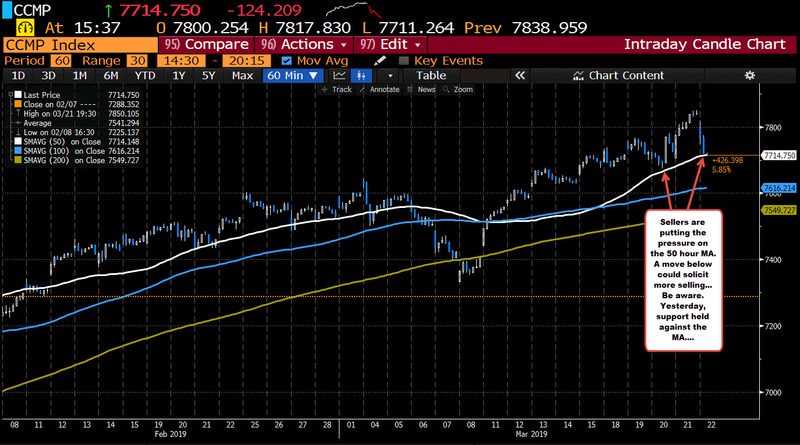 For the Nasdaq, it is testing the 50 hour MA at 7714.18. The low reached 7711.26. So it has been broken.